A person who is bleeding can die from blood loss within five minutes. Emergency responders will arrive as quickly as possible, but bystanders are almost always there first. In the case of disaster and high casualty incidents, emergency services are often spread thin. Will you be ready? 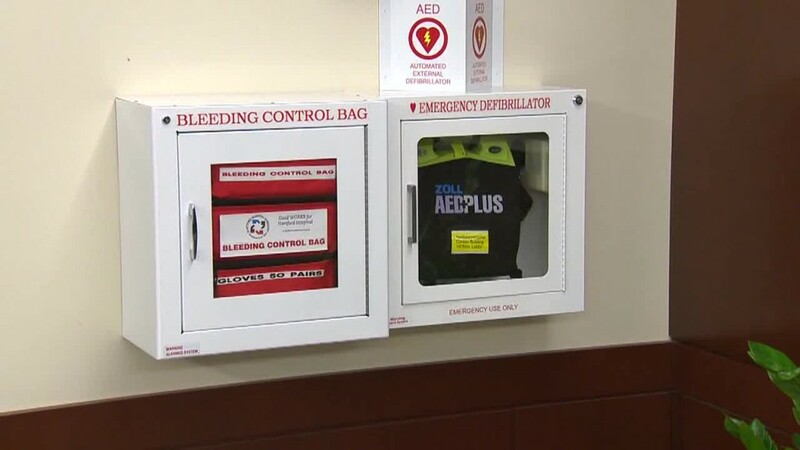 Bleeding control supplies are located in all public gathering locations next to Automated External Defibrillators (AEDs). Our free 2.5 hour course teaches basic life-saving medical interventions, including a brief Active Shooter preparedness presentation and methods to control bleeding. Taught by practicing trauma surgeons, the course was developed in response to the call from the U.S. Department of Homeland Security and the Hartford Consensus to improve survival during active shooter and other mass casualty events. In these circumstances, survival begins with bystanders. 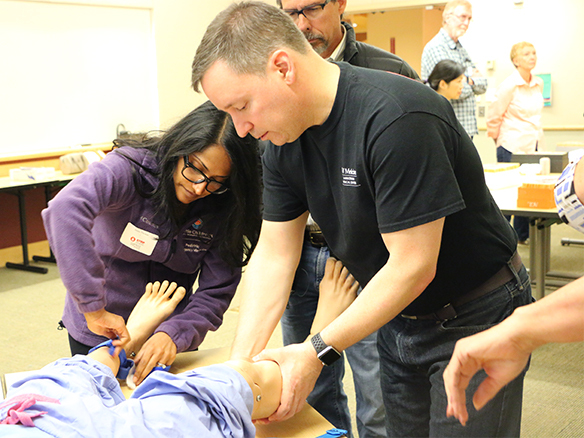 This course is based on a curriculum developed by National Association of Emergency Medical Technicians and modified and taught by trauma surgeons from UW Medicine’s Harborview Medical Center. If you have any questions, please contact us at TraumaED@uw.edu. EVERYONE! Learning to control bleeding is an essential skill that anyone can apply to save lives, just like CPR. In particular, these skills are important for non-tactical law enforcement, firefighters, security personnel, emergency coordinators and teachers. In addition, we recommend that all workplaces have multiple employees trained in bleeding control. Can I be an instructor? Individuals with medical experience such as EMTs, paramedics, nurses, nurse practitioners, physicians, physician assistants, medical students, nursing students and athletic trainers can teach this course. To learn more, visit Stop the Bleed’s instructor registration. Can you teach this course at my workplace? We will work with you to develop a program for your workplace. We will prepare your trainers, emergency coordinators, or other qualified individuals to provide bleeding control training. For more information on setting up a workplace program please contact us at: TraumaED@uw.edu. If you have any questions, please contact us at TraumaED@uw.edu, and we will get back to you as soon as possible. Thank you for your interest in helping us Stop the Bleed. Upcoming training opportunities or listed below, or visit BleedingControl.org to search for other classes in Washington and beyond. Please be aware that Stop the Bleed classes may include images or depictions of injuries and emergency scenarios as training tools. 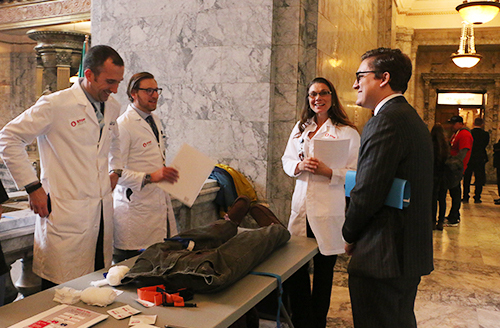 Join the Stop the Bleed WA Waiting List to be notified when new course options become available. Due to severe weather forecasts, this course date has been canceled. Received registrations have been moved to the March 16 course date. If this date does not work for you, please contact us or register at one of the other course options below. Reminders will be emailed to all registered participants as your selected course date approaches. Take the James Street exit from I-5. Turn east on James Street and go to Ninth Avenue. Turn south on Ninth Avenue and go one block to Jefferson Street. Metro provides regular bus service to Harborview on several routes, including 3, 4 and 60. All parking at HMC will cost from $7 – $12 (for up to 6 hours). The garages are open 24 hours a day, seven days a week. Disability parking is available in all Harborview parking lots. Valet parking is available at the west entrance of the medical center until 5:30 p.m. on weekdays. If you prefer to park your car yourself, disability parking is available in the View Park Garage, also located at the west entrance. During this free, hands-on training you will learn various ways to control life-threatening bleeding after an individual has sustained an injury from an everyday emergency, man-made or from a natural disaster. You will be given a list of items to create your own Stop the Bleed® emergency kit. Tyler Dalton, Trauma Coordinator at Skagit Valley Hospital and Tiffany Jayne, Trauma Coordinator at Cascade Valley Hospital will be teaching this one-hour training. Please note this is not a first aid class. There is no cost, but pre-registration is required by calling 360-814-2424. In this free class you will be taught bleeding control basics. Stop the Bleed is a national awareness campaign and a call to action. 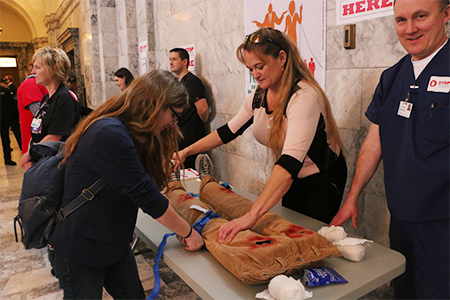 Stop the Bleed is intended to cultivate grassroots efforts that encourage bystanders to become trained, equipped, and empowered to help in a bleeding emergency before professional help arrives. Register online at Providence Regional Medical Center. Contact the course organizers for more details. Contact Kate.osborne@multicare.org for information on future course dates. Walk-ins welcome. Classes are available at no charge for our community members. Registration is open through the EvergreenHealth Healthline at 425-899-3000 or online at the EvergreenHealth website. 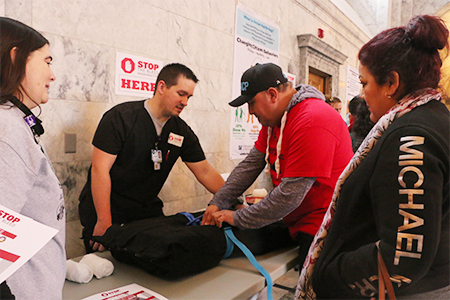 For information about bringing Stop the Bleed training to your workplace, contact Barb Jensen at 425-899-2409. Contact the EvergreenHealth Healthline at 425-899-3000 for more details. 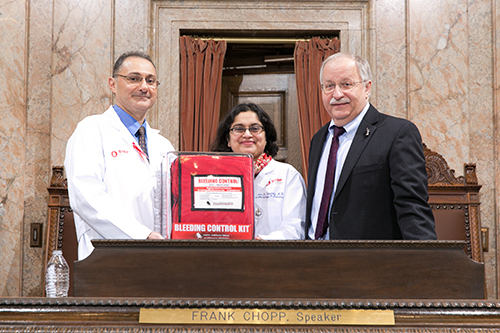 In recognition of the growing threat of mass casualty events and the need for enhanced training of bystanders to manage life threatening bleeding in these situations, we encourage the installation of bleeding control kits in public buildings in King County where large numbers of people gather. These kits will provide the tools to allow immediate management of life-threatening hemorrhage until EMS providers can arrive. 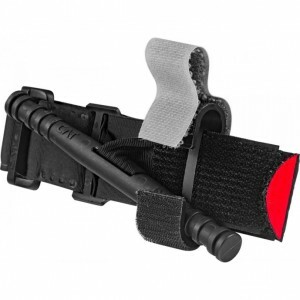 Events such as the Boston Marathon bombings and recent mass shootings highlight the need for increased availability of effective, commercial tourniquets as improvised tourniquets are often ineffective and can make bleeding worse if arterial inflow is not occluded. What is a bleeding control kit? A bleeding control kit contains the essential medical equipment and supplies required to save a life in the event of immediate, life threatening bleeding. 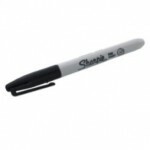 A kit can be designed for a personal or home situation or for a larger more public venue. Public access kits should contain supplies to treat at least 8 casualties, they may also include specialized packing materials that have been treated to accelerate the clotting process to stop hemorrhage as quickly as possible. They may also include some devices to help move patients in an emergency situation. 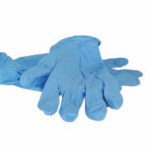 Where should bleeding control kits be placed? 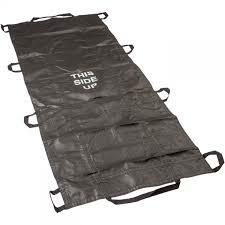 A personal or smaller kit can be kept in or along with your emergency or disaster supply bag or kit, in your car, with your camping gear, etc. Who should be trained to Stop the Bleed? 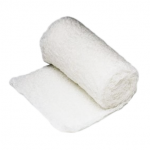 Uncontrolled bleeding injuries can result from natural and manmade disasters and from everyday accidents, as well as from catastrophic and terrorist incidents. If this bleeding is severe, it can kill within minutes, potentially before trained responders can arrive. Bystanders who have been provided with basic tools and information on the simple steps they can take in an emergency situation to stop life threatening bleeding can save lives. Research has shown that bystanders, with little or no medical training, can become heroic lifesavers. Similar to the use of CPR or automatic defibrillators, improving public awareness about how to stop severe bleeding and expanding personal and public access to bleeding control kits can be the difference between life and death for an injured person. How can I get a bleeding control kit in my workplace or home? There are several commercial kits available online, including an online bleeding control store by the American College of Surgeons. We do not otherwise endorse any specific company, but a quick internet search for bleeding control kits, hemorrhage control kits, or tourniquets will yield several companies that can supply you with either pre-made kits and supplies or individual products so you can assemble your own kit. You can purchase a premade/prestocked kit or you can purchase the items individually and put together your own kit. When purchasing your own individual tourniquets, we would recommend either the CAT (Combat Application Tourniquet) or the SOFT-T Wide (Special Operations Forces Tactical Tourniquet Wide). 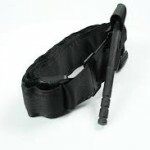 Can't I just use my t-shirt, piece of rope, belt or other improvised tourniquet? Improvised tourniquets are rarely as effective as commercially manufactured tourniquets, because they cannot be tight enough to actually stop the bleeding, especially in arterial injuries. 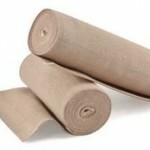 As a matter of fact, often these improvised tourniquets can make the bleeding worse by prevention venous return. 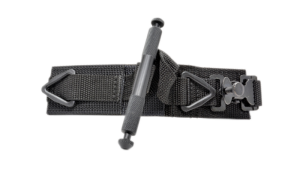 Belts cannot be tightened enough, rope or string is too thin to actually stop arterial bleeding and will cause more tissue damage. ‘A Perfect Stranger’ tells the story of Kinneil and Angelia and the event that brought the two women together. When a motorcycle accident left a frightened Angelia on the street alone and bleeding, Kinneil didn’t just stand by, she cared enough to stop and provide a comforting hand and a reassuring voice. It is a powerful reminder that at a moment’s notice, any one of us might find ourselves in a situation where we are the help until help arrives. In the end, this film calls on all Americans to remake what it means to be a bystander. Learn more at www.ready.gov/prepare. “Preparing for the worst day of someone’s life,” The Daily of the University of Washington, Dec. 4, 2017. 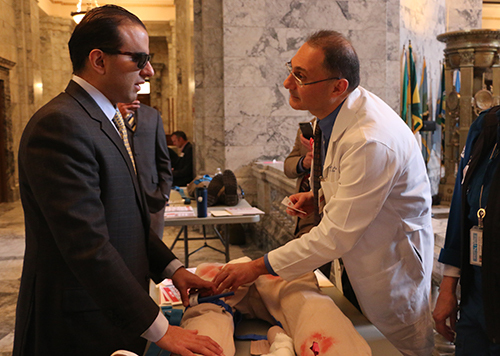 City of Seattle’s CityStream featured Stop the Bleed on March 30, 2017. 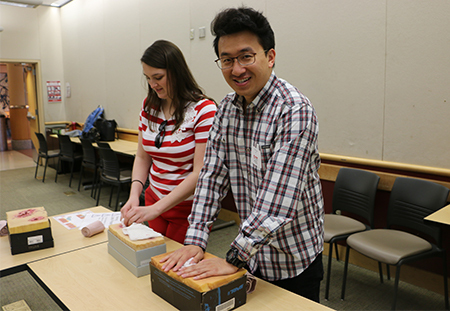 Trauma Training Initiative Teaches Rural Laypeople how to “Stop the Bleed”, The Rural Monitor, 10/03/2018. In 2013, following the the active shooter disaster on December 14, 2012, at Sandy Hook Elementary School in Newtown, CT, the Joint Committee to Create a National Policy to Enhance Survivability from Intentional Mass Casualty and Active Shooter Events was convened by the American College of Surgeons (ACS) in collaboration with the medical community and representatives from the federal government, the National Security Council, the U.S. military, the Federal Bureau of Investigation, and governmental and nongovernmental emergency medical response organizations, among others. The committee was formed under the guidance and leadership of Trauma Surgeon Lenworth M. Jacobs, Jr., MD, MPH, FACS, vice president of academic affairs and chief academic officer at Hartford Hospital, and professor of surgery, University of Connecticut School of Medicine, to create a protocol for national policy to enhance survivability from active shooter and intentional mass casualty events. The committee’s recommendations are called the Hartford Consensus, and currently consist of four reports. This report describes the development of an evidence-based guideline for external hemorrhage control in the prehospital setting. This project included a systematic review of the literature regarding the use of tourniquets and hemostatic agents for management of life-threatening extremity and junctional hemorrhage. Using the GRADE methodology to define the key clinical questions, an expert panel then reviewed the results of the literature review, established the quality of the evidence and made recommendations for EMS care. A clinical care guideline is proposed for adoption by EMS systems. Videos produced by King County EMS in collaboration with the King County Sheriff. 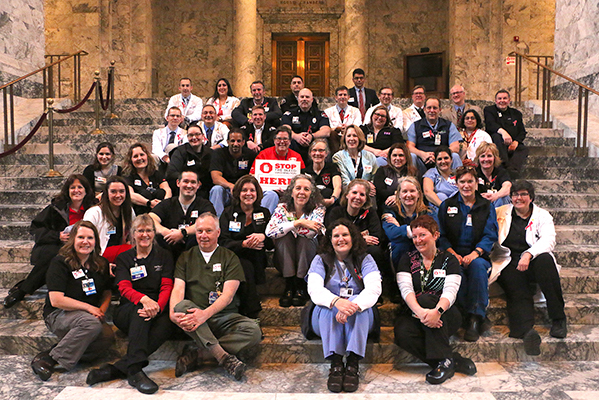 More than 40 first-responders, nurses, physicians, surgeons and staff came together for Stop the Bleed Washington Legislative Day in Olympia, Washington on Jan. 10, 2018. 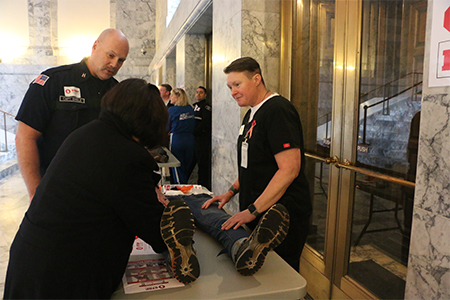 Together we trained an estimated 388 legislators, staff and visitors in basic tourniquet and wound-packing techniques, as well as met with legislators to raise awareness of Stop the Bleed and the need for bleeding control kits in public areas. Questions? Email us at TraumaED@uw.edu.